Pinpoint your ocean adventures with these iconic maptacks. 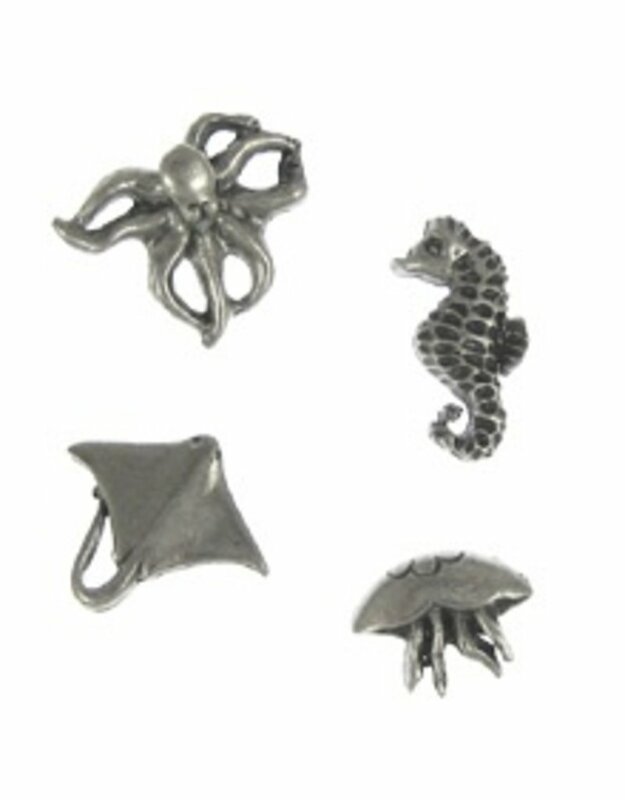 Detailed miniature 3-dimensional sculptures are hand cast in pewter.,Set of 8. 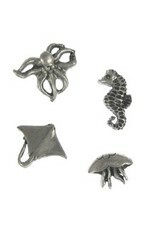 2 each: Octopus, Skate, Seahorse, Jellyfish. Approximate size one half inch. Point is 5/16 inch.